From vinho verde to port, Portuguese wines are mostly blended. 100% varietal wines only appeared about 30 years ago and they are mainly confined to Alentejo and the Algarve where wineries are often owned by foreigners. 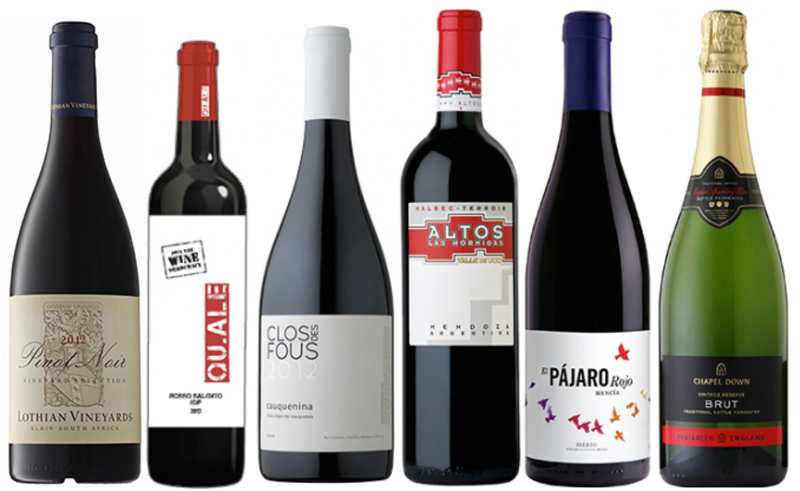 Even then, single varietal wines have mostly been limited to a few major varieties such as Touriga Nacional, Aragonez (aka Tinta Roriz in the north, or Tempranillo in Spain), and Syrah. Ironically, the only 100% Tinta Barroca I have ever tasted was Sadie’s Swartland Old Vines Series Treinspoor from South Africa! I shared a bottle with the Vintage Port Academy's founders and they said they had never come across a 100% Tinta Barroca in Portugal. So imagine how my eyes lit up when I got the opportunity to taste four single varietal wines from Portuguese native grapes from one winery over lunch. The winery in question is Quinta da Plansel in Alentejo, owned by Dorina Lindemann, one of the few female winemakers in Portugal. Like most Alentejo winery owners, Dorina is not Portuguese. She is German, and after finishing her viticultural studies at the University of Geisenheim in Germany she joined her father, Hans Jörg Böhm, in Portugal to run his breeding nursery. 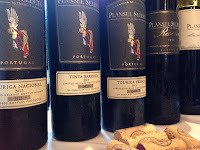 Hans loves Portuguese wine so much that he sold his wine merchant business in Germany, took a course at the Geisenheim Research Centre and then founded Plansel SA in Alentejo with the objective of improving the nation’s viticultural stock via clonal selection to match with different rootstocks and terroirs. Dorina made her first wine in 1996 and then, in 2001, her first single varietal wines: Tinta Barroca, Touriga Franca and Touriga Nacional. She believes that only mono-varietal wine can truly reveal the potential of a grape. Like all passionate winemakers, Dorina believes the vineyard is where the wine is made. Because of the dry conditions in Alentejo the vineyards need irrigation. But instead of using drip irrigation like most modern wineries, Dorina floods the vineyard with water so that the majority of water is absorbed by the soil. She says this is the only way to make the vine roots go deep into the soil to get water, thus producing better quality fruit. She explained that drip irrigation, although using less water, makes the vines lazy as the roots never need to go deep. The first wine we tasted was Selecta ‘Homenagem ao Thomas’ Tinto 2012, made from 100% Trincadeira in memory of Dorina’s late husband, Thomas, who passed away in 2008. According to Dorina this will always be a small production wine because Trincadeira is not easy to grow. So I was surprised to learn that this pleasant, well-balanced and fresh wine retails at a steal at $108/bottle. Dorina wants to keep the price affordable because the wine expresses her winemaking philosophy. The next three varietal wines were Touriga Franca, Tina Barocca and Touriga Nacional. Dorina introduced them as male, female and bisexual respectively. Touriga Franca has a firm structure, Tinta Barooca is softer and more voluminous while Touriga Nacional is seductive yet with firm tannins—not a bad analogy at all. All three are elegant with supporting acidity making them not heavy to drink even on a hot summer's day. I loved the manly Touriga Franca and it went well with the bacalhau (cod). All three are reasonably priced at $298/bottle. Dorina does also make blended wines. 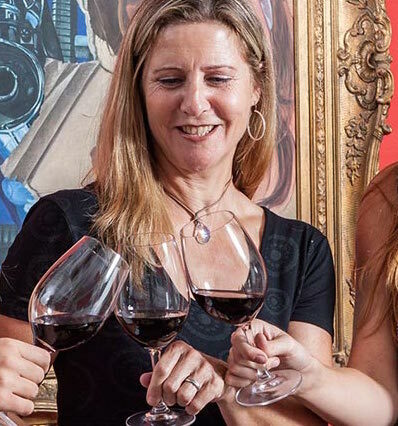 The Selecta Reserva Tinto (50% Tinta Barroca and 50% Aragonez) is her best seller, while the Dorina Lindemann Limited Edition (equal proportions of Touriga Nacional and Touriga Franca) is only made in the best vintages. Although I worked in the south of Portugal for three vintages, I have to admit that I don’t drink too many wines from the region here in Hong Kong because they are usually too heavy for the climate. Dorina’s wines changed my mind. Yes, they may have 14+% alcohol but all have a fresh natural acidity and ample fruit concentration. This is how a good wine should be: balanced and graceful. By the way, if you are interested in native varieties of the Iberian Peninsula, check out Dorina’s father website, Vine to Wine Circle. Quinta da Plansel is available from Adega Royale. Canada only exports about 2% of its total wine production. And, according to statistics from the Canadian Trade Commission, China and Hong Kong are its second and third biggest export markets respectively, after the US which took nearly half the total. It turns out that, although Canada also produces still wine, the majority of its wine exports to us are ice wine. Looking at another set of data, the top 10 countries exporting wine to Hong Kong account for 99% of the market share here (by volume) and Canada is not one of them. So you can picture how tiny Canada's still wine market share is in Hong Kong. Perhaps because of this, the Canadian Trade Commission here has recently become fairly active in promoting this category. 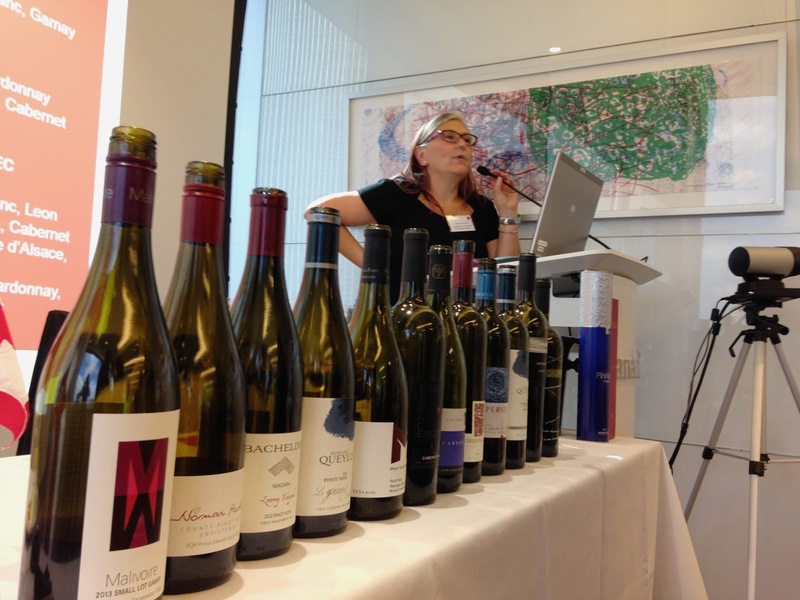 Only seven months after it hosted a Canadian wine tasting event with wineries representatives, it invited Janet Dorozynski, Global Practice Lead, Canadian Wine, Beer and Spirits from its Ottawa office, to lead a series of master classes on Canadian wine. The lineup was certainly impressive with two sparklings, ten whites, twelve reds and three sweets—a total of 27 wines. It was an interesting tasting, not least because the wines were of widely varying quality standards, which led me to have the following thoughts. I can see that Canadian winemakers face big challenges, especially in British Columbia. Although the diurnal temperature difference is high (15-20ºC), something generally considered a good thing in growing quality grapes, the maximum daytime temperature can reach 35ºC and quite often 40ºC. At these temperatures a vine basically shuts down. Combine this with the relatively short growing season and the result tends to be that grapes accumulate sugar very fast but simply don't have enough time to develop flavours. Riesling in particular does not like heat stress and needs a long growing season to develop. Pinot Noir can be tricky too in extreme conditions. Perhaps this explains why some of the wines tasted were not showing very well. It could of course be my palate, but it might also be the choice of wine. Canadian still wine, with its relatively small production, will always be a niche product in export markets, commanding only a small market share. 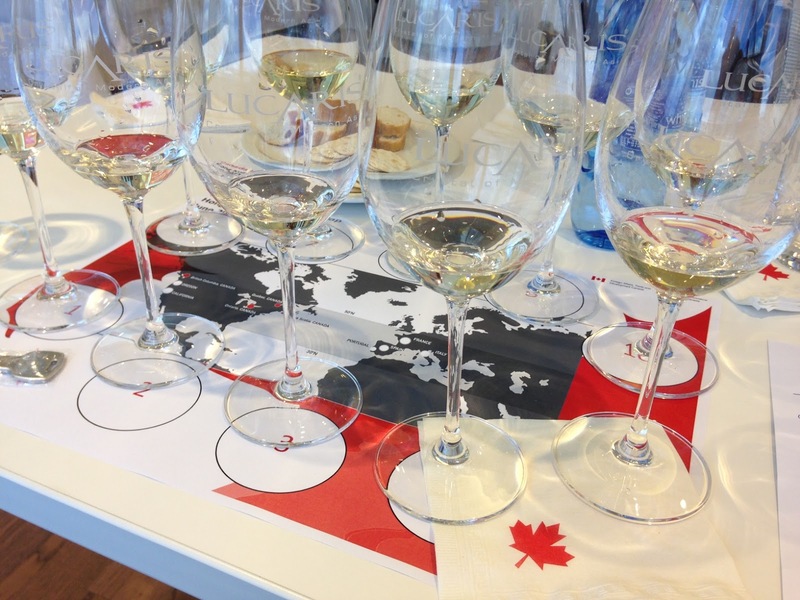 Given its relatively high production costs, Canada will never be able to compete with other countries at the entry level, and the average non-expert consumer is unlikely to buy Canadian still wine anyway. So wineries might well do better to focus on quality when exploring export opportunities. I do believe there is potential for Canada to produce some good still wines. I have tasted some very good Cabernet Franc from the Niagara Peninsula and I feel Canada should put some real focus on this variety. 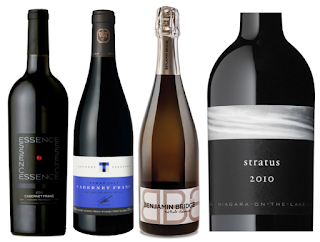 There are not many 100% varietal Cabernet Francs anywhere in the world, and given that there is a trend, at least in developed markets, for lighter reds, this may well be a golden opportunity for Canadian wineries. A well-made Cabernet Franc often pairs better than Cabernet Sauvignon with Chinese cuisine because it is more fragrant and less tannic. The two we had, 13th Street 2011 Essence Cabernet Franc and Tawse Winery 2011 Laundry Cabernet Franc, both from Niagara Peninsula, did not disappoint at all. As Janet said, the industry is very young, only being developed in earnest since the 1990s, so there is a lot of scope for winemakers to experiment. And I really hope Hong Kong importers will consider bringing in some quality Canadian still wines in the near future. Benjamin Bridge 2008 Brut Methode Calssique, Nova Scotia: pleasant with layers of aroma from citrus and white fruits to honey and brioche. Janet offered a prize for anyone who could guess the percentage of Pinot Noir and Chardonnay in the blend but none of us even got close. The wine was made with 42% L’Acadie Blanc, 40% Seyval Blanc, 10% Pinot Noir, 8% Chardonnay. L’Acadie Blanc is an extremely complex hybrid developed in Niagara and mainly grown in Nova Scotia. Stratus Winery 2010 Stratus Red, Niagara Peninsula: Good fruit concentration with a fine tannin structure. It is a Bordeaux blend with 42% Cabernet Sauvignon, 28% Merlot, 15% Cabernet Franc and 15% Petit Verdot. None of the wines above have importers in Hong Kong. Portfolio tastings are always worthwhile to attend if you have time because you may be familiar with only a handful of brands that importers are carrying and the tastings are a chance for you to discover something new. I particularly enjoyed the recent Continental Wines portfolio tasting in May. Not only were there a lot of wines to try—over 200 wines from 45 wineries in 10 countries were presented—it was also a great opportunity to catch up with friends both from the trade in Hong Kong and from the wineries. After all, more than half of the brands had representatives present. The first person to greet me was Huibre Hoff from Morgenster Estate in South Africa, whom I met last year when she conducted a Mongenster vertical tasting here. We discussed the ‘Discover South African Wine Festival’ that just ended in April and the upcoming Cape Wine event in September while tasting her wines. The Lothian Vineyards Pinot Noir 2012 from Elgin was very pleasant and the Bordeaux blend Morgenster 2009 was just superb. My next stop was Claudio Quarta, a biologist turned winemaker in the south of Italy. Claudio has two brands. One is Cantina San Paolo in Campania whose Greco di Tufo DOCG was outstanding. But what caught my eye was the QU.ALE Rosso Salento from his other vineyard, Tenute Eméra in Puglia. This wine is the project of his daughter, Alessandra Quarta. The name was cleverly derived from her own and means ‘What’ in Italian. Alessandra’s question is, "What responsibilities do we have if we want to work with respect for nature and mankind?" The wine, with ‘The Wine Democracy’ on the label and a very reasonable price of HK$113/bottle, clearly targets the younger audience with a conscience. However, it is not pure gimmick. You may not agree with her marketing ideas or the video but the wine, a blend of Syrah, Touriga Nacional and Tempranillo, is definitely a pleasant, simple, easy-drinking wine that will charm new young wine consumers. From Italy I went to the Southern hemisphere where I discovered two wines made by my friends who are advocates of terroir. Clos des Fous from Chile is the brainchild of Pedro Parra, a terroir specialist whom I met in Chile back in 2013. 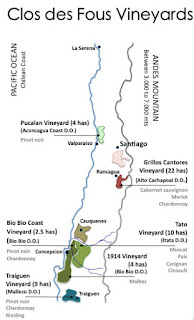 The grapes were sourced from the extreme conditions of Chile in the south, high altitude and right next to the Pacific Ocean, outside the comfort zones of traditional Chilean wine regions. Even the entry level Subsollum Pinot Noir and Cauquenina (a blend of Carignan, Malbec, Syrah, Pais) are extremely elegant. I’m glad that Pedro’s wines have made it to Hong Kong. The other one was Altos Las Hormigas from Alberto Antonini, an Italian winemaker friend whom I just visited in Tuscany last September. The winery only produces 100% Malbec from Uco Valley in Mendoza with minimal intervention. The wines, ranging from entry level to vineyard specific, are perfect examples of how a wine can express terroir. The Terroir Malbec and Reserva Malbec are both excellent buys. Moving on, I was delighted to discover Losada from Bierzo in northern Spain, made from 100% Mencia, a native variety. Pájaro Rojo is fresh with red fruits and herbal flavours, while the flagship Altos de Losada, made from old vines, has a depth and concentration that outshines a lot of Riojas. Finally I stopped by Chapel Down, England’s largest sparkling wine producer from Kent. We had a long chat about the English wine industry and its future while sipping the winery's various sparklers. England has been making good quality sparkling wine from Champagne varieties (Chardonnay, Pinot Noir and Pinot Meunier) for more than 10 years but still, a lot of people in the trade, let alone consumers, are not aware of it because of the limited export volumes. Only a few brands are available in Hong Kong but do try them if you come across them. You’ll be surprised. Time flies and before I knew it, it was the end of the session. Usually we can hang around for a while but this time the venue had another function right after so Victoria, owner of Continental Wines, had to send us away. I realised that I only tasted a quarter of the wine—too many wines, too little time—but nevertheless a great discovery, and I had to buy a case for myself. Continental Wines runs a separate online retail club, Victoria Wines, for private customers.